Well this is a tough one. I agree. First of all I do not agree with the pharmacist instructing these 2 nurses to put these pills that are now “contaminated” into a “more contaminated (highly likely more than the floor) to begin with.. Second why would anyone in healthcare take a risk of opening and sorting through a “sharps”container period! So both pharmacy and the nurses have been trained and educated that this area a sharps isbiohazard and none of them should be digging or looking around into this unsafe container at any time in healthcare areas specifically. So I could hold all three accountable for risking digging or possible infe ting or injuring themselves in this process. I would say Ikinda sway that these pills should have been counted as a loss andthis facility has to deal with the cost versus their employees becoming injured or sick from possible improper handling of contaminated waste area. Wow! What a catastrophe! It is scary that 2 RN’s in leadership roles did this! 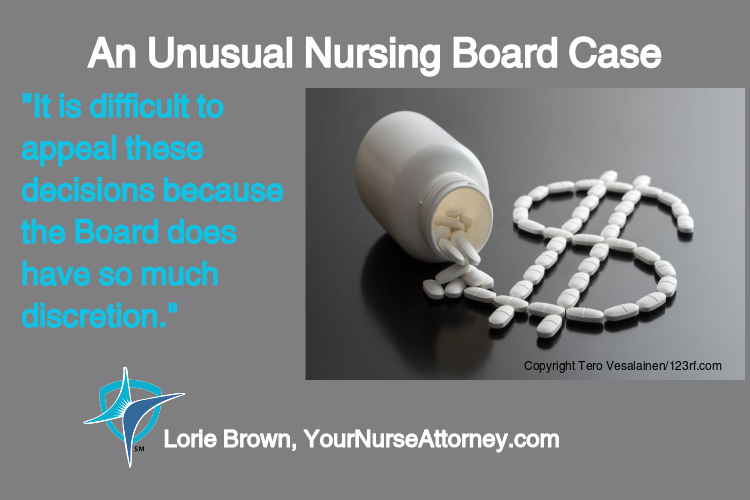 I am glad that the nurse reported this to her state board of nursing. That must have been a brave and scary move.